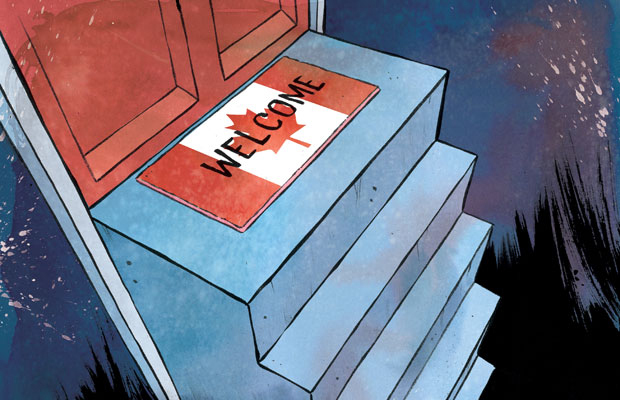 This page discusses the barriers that immigrants face when they enter Canada seeking work. It will examine four different, but related, barriers that affect the employment of immigrants. These barriers are foreign education, Canadian experience, privately governed professions, and racist attitudes towards immigrants. It’s a steep climb for potential immigrants. It is a steep climb for immigrants who come to Canada to work in an occupation that is suited to their level of training and education. That climb begins with the initial requirements to enter Canada. Applicants must have at least 1560 hours (a year of full time work) in the last ten years using a specific skill set within their declared occupation, meet minimum language levels, and they must have a diploma from a Canadianinstitution, or be able to have their training equated to that of a Canadian institution.